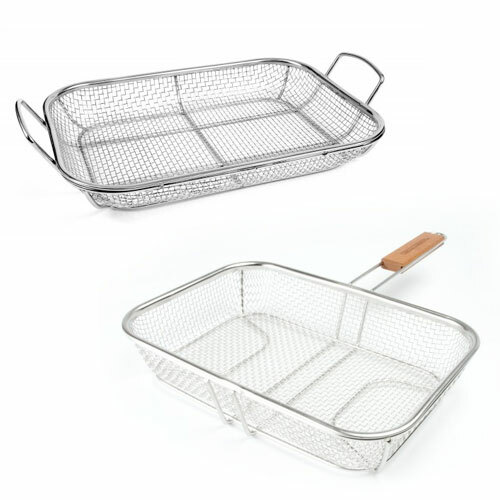 Wire Mesh Grill Basket | Patio and Hearth Co. Stainless steel mesh offers another way to get flavor from the grill without losing food through the grate. Mesh basket has a rosewood handle. Roasting pan is all stainless steel, with two large side handles. Inquire about Wire Mesh Grill Basket using the form below.